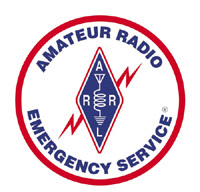 Amateur Radio Emergency Service (ARES) is a corps of trained Amateur Radio operator volunteers organized to assist in public service and emergency communications. Cuyahoga county is part of the Ohio ARES 10th District which includes the counties of Ashtabula, Geauga, Lake, and Lorain. LEARA is a supporter of ARES and our repeaters are often used for their events. The Cuyahoga County ARES Training Net is the first and third Tuesday of the month at 8:00 PM local time on the KB8WLW repeater, 145.410- 110.9 PL, in Parma, Ohio. NOAA Weather Radio is a nationwide network of radio stations broadcasting continuous weather information directly from the closest National Weather Service office. 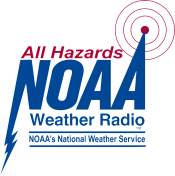 NOAA Weather Radio broadcasts NWS warnings, watches, forecasts, and other hazard information 24 hours a day. Weather Underground maintains a directory of streaming links for many sites. NWR Specific Area Message Encoding (SAME) is a digitally encoded message that contains the type of message, counties affected, and message expiration time. SAME will activate your radio only when there is an alert for your county. Public service scanner frequencies, repeater directories, and repeater locators are in our links section.